From now through December 31st, we have a ton of fantastic artisans offering handmade and eco-friendly gifts in the Mistletoe Market at Community Forklift. Mt. 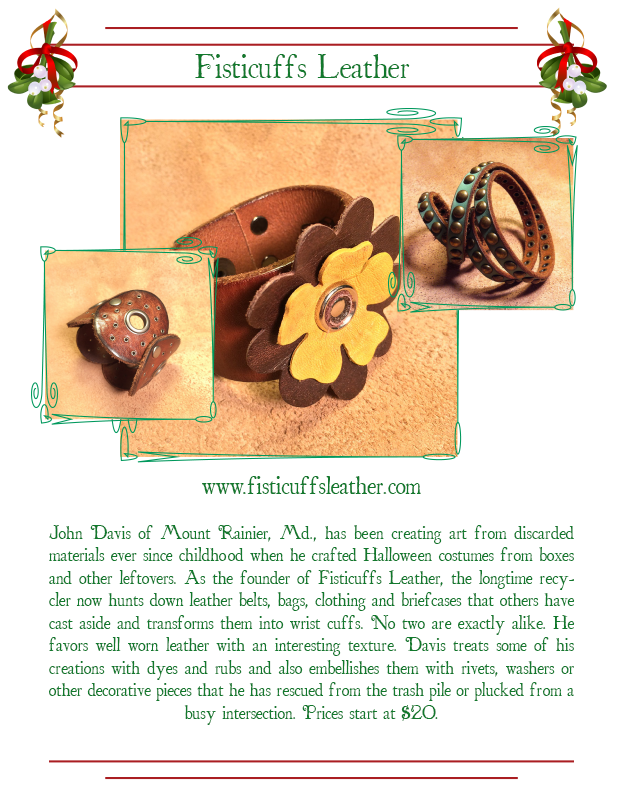 Rainier-based artist John Davis of Fisticuffs Leather makes really cool cuffs – great for men and women! He has a wide variety of styles – both ornate like the ones pictured below, as well as cuffs with simple, strong lines. Be the first to know when we write a new blog post!